In May of 2013 a very large tornado swept through Oklahoma, taking lives and destroying homes. 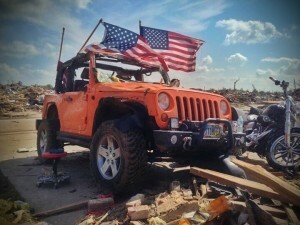 In the midst of that chaos and tragedy, an interesting story appeared involving a Jeep Rubicon, and it was brought to my attention by Camp Crocker of COP4x4. Stomper is the name of this heroic Jeep, and it was drug from wreckage of the large tornado. Stomper is owned by Bryan Hutton and was used to rescue tornado victims after being pulled from the rubble of a collapsed home. 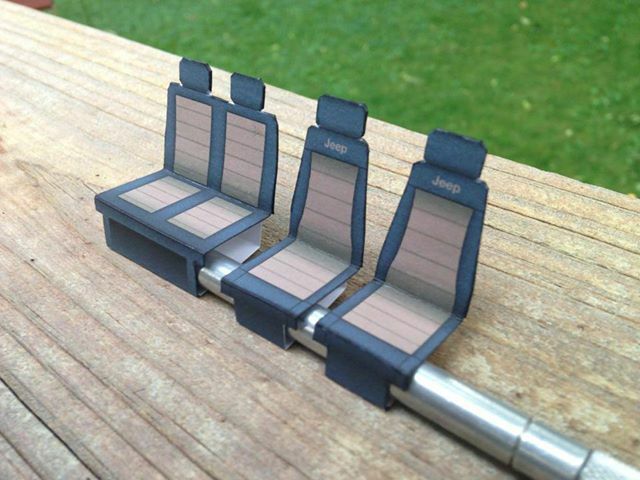 A good audio rendition of the story can be listened to here over at the at XJ Talk Show. Fast forward a month or so: Camp Crocker of COP4x4 spearheaded a movement to restore this jeep. 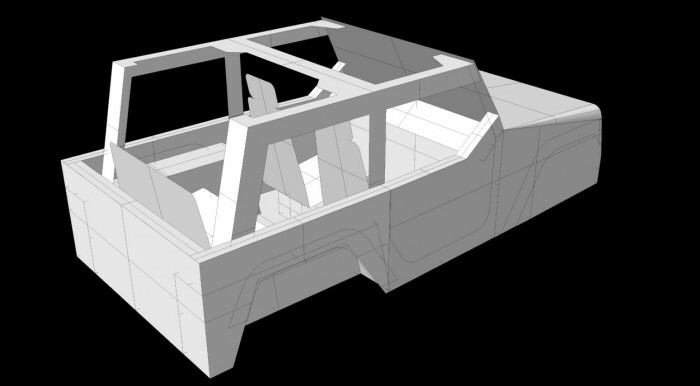 the 4×4 community rallied behind the cause and began to donate parts. Sponsors like Warn signed up to donate a new winch, and Camp asked me if I would be willing to make a paper model of this truck. You can follow the rebuild on the Facebook page here. 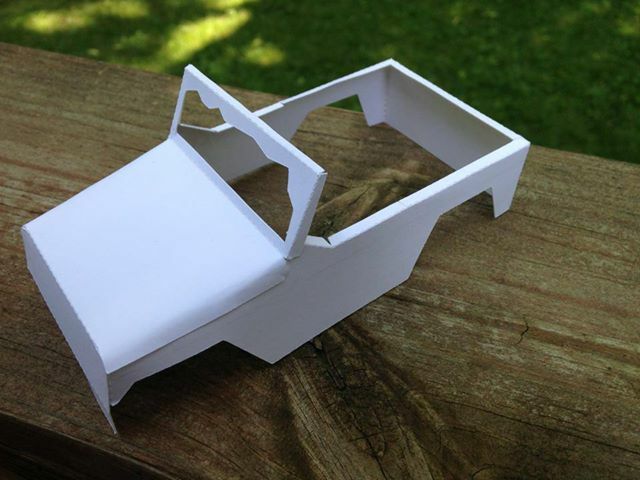 So this will be my first model of a “wrecked” vehicle! 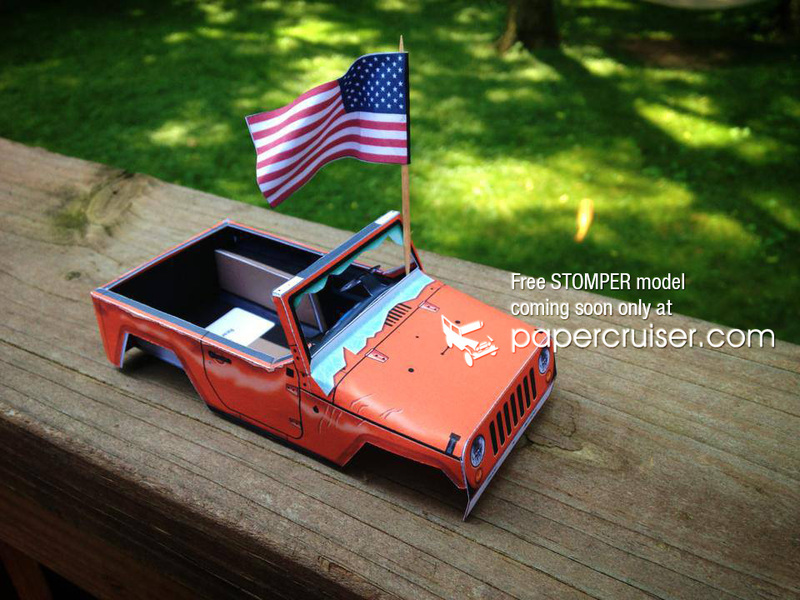 This model is intended to memorialize Stomper before the rebuild and will be an exclusive free download only from papercruiser.com. 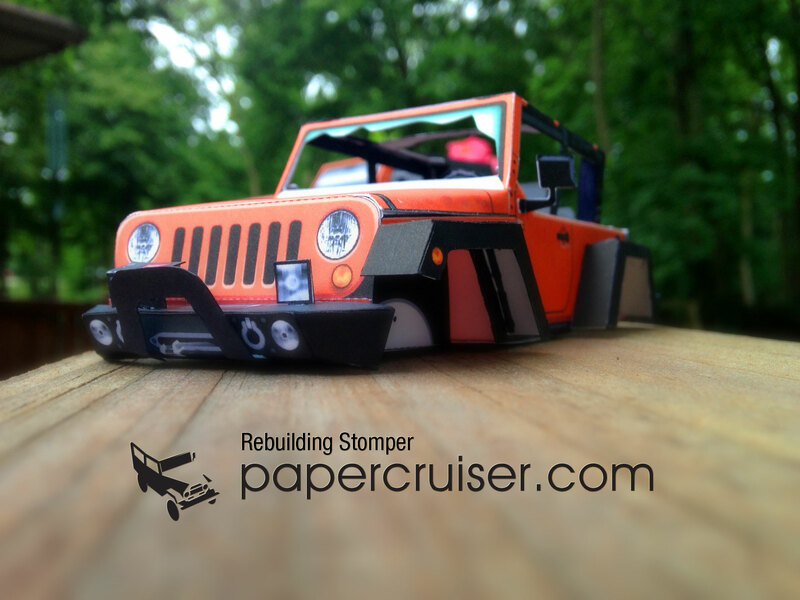 LIKE and follow me on my Papercruiser Facebook page to get first notice when it’s done! 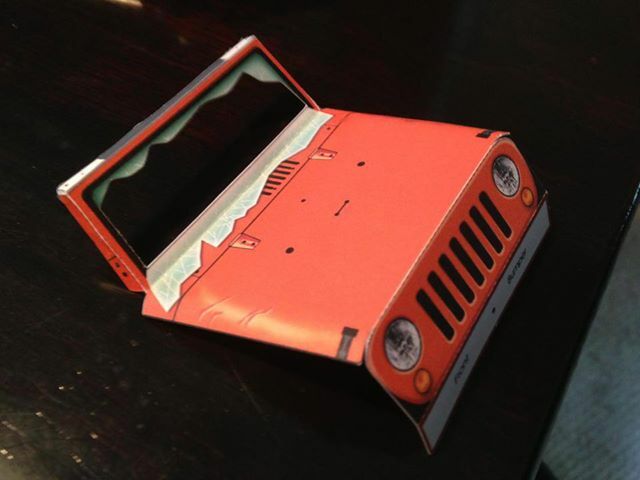 I have a model of the 2-door Jeep Rubicon already completed and for sale, but not an open-top version. 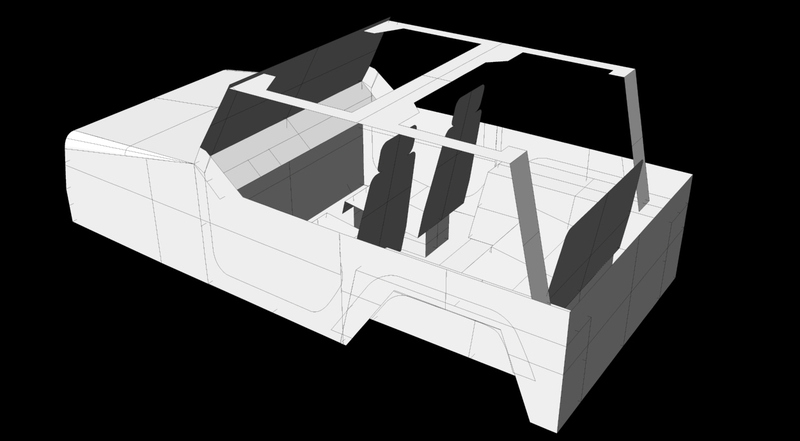 So I got to work creating a new model design with an interior and open top, with roll bars. 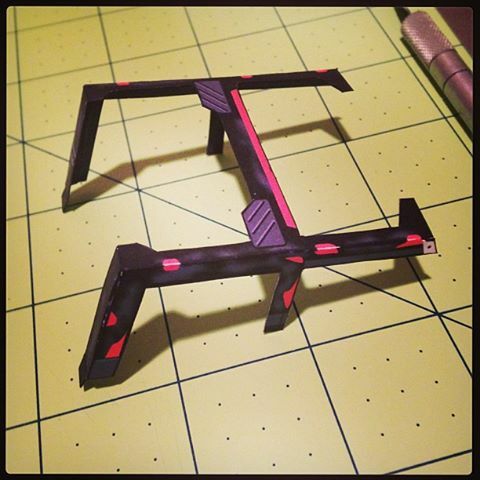 Here’s a few work-in-progress pictures. Enjoy!